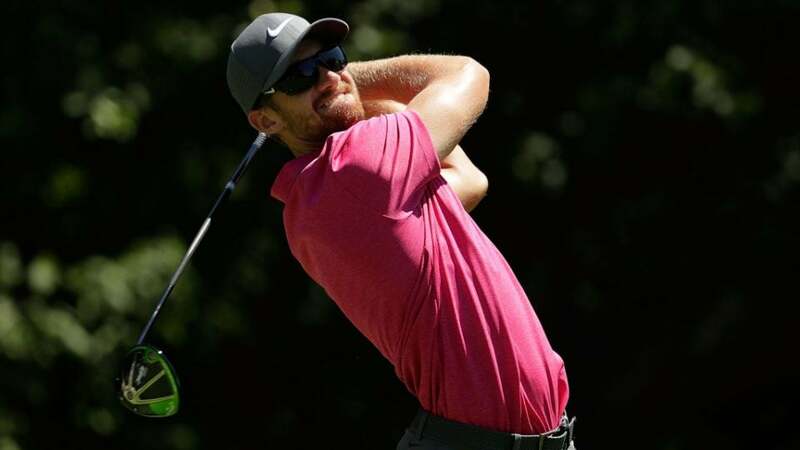 SILVIS, Ill. (AP) — Patrick Rodgers is 18 holes away from his first PGA Tour win. But the 25-year-old former Stanford star knows that it’ll likely take a lower score than the one he shot Saturday to secure such a milestone victory. Rodgers had a 16-under 197 total at TPC Deere Run. He’s trying to become the third player in five years to win the Quad Cities event for his first PGA Tour title. “It’s going to be a shootout because there’s a lot of birdies to be made out here, and I’m going to have to make my fair share in order to stay at the top,” Rodgers said. “In Memphis I drove the ball phenomenally. This week I haven’t driven it that well, but I’ve kind of kept it in play for the most part and I’ve made a bunch of putts, which has been the difference,” said Berger, one of only two players in the top 10 in the FedEx Cup standings in the field. Stallings shot a 30 on the back nine and eagled the par-5 17th hole with a 22-foot putt. He’s shot back-to-back 64s after opening with a 71 on Thursday. Bubba Watson’s decision to skip the Scottish Open for the chance to accumulate FedEx Cup points might not work out in his favor. Watson had a 68 and was tied for 57th at 6 under. Kelly Kraft made arguably the day’s most impressive shot on No. 17. His tee shot landed on a walkway behind a hospitality tent, and Kraft hit his second shot over 200 yards and eventually saved par.